Canada’s rate of population growth is expected to slow over the next 25 years. But that won’t be the case in Nunavut, a Sept. 17 Statistics Canada report finds. Over the next 25 years Nunavut will continue to be the youngest and most quickly growing jurisdiction in Canada, the report on population projections finds. “Fertility is the key driver of population growth in Nunavut, as its population would continue to increase despite losses in migration exchanges with the rest of Canada and almost no gains from international migration,” the report says. Due to much higher fertility — that is the average number of children born to each woman — than elsewhere in Canada, the population of Nunavut is projected to increase over the next 25 years to reach between 43,800 and 53,300 by 2038, depending on the scenario, Stats Can says. “All scenarios indicate strongly positive natural increase for the territory, a result of the fact that Nunavut would continue to hold the highest fertility rates in the country while also having a young age structure,” the report says. That’s unlike population growth in Yukon and in the Northwest Territories over the next 25 years, which would be largely influenced by interprovincial migration flows, the report says. 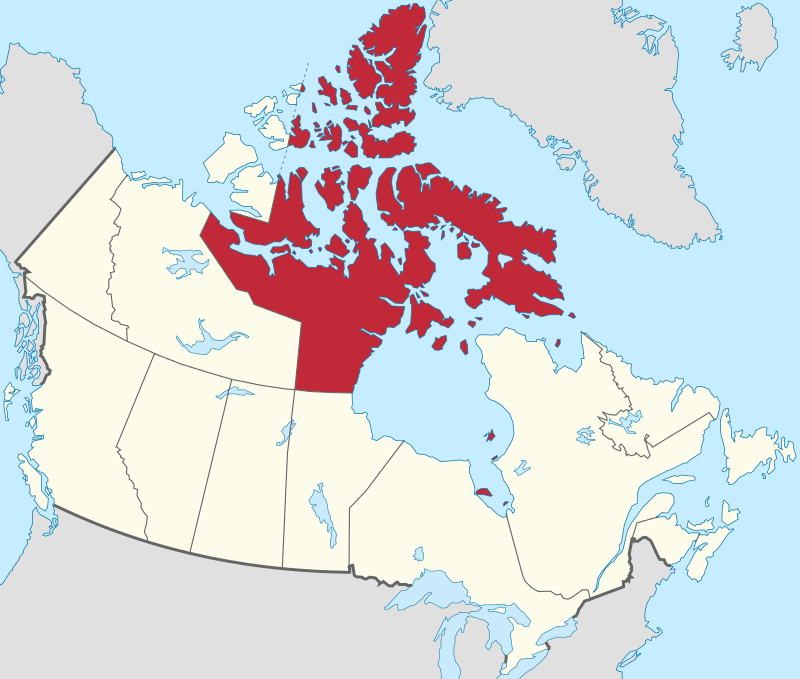 Nunavut’s population stood at 35,600 in 2013. In 2038, the territory’s population is also projected to remain the youngest in Canada in all scenarios. And, the population may even become younger than today. “The median age of the population of Nunavut could in fact decrease over the next 25 years a phenomenon that would not be seen anywhere else in the country,” the report states. However, the proportion of seniors aged 65 years and over will more than double, to as high as nine per cent, compared with only 3.5 per cent in 2013. Nunavut would nevertheless remain the youngest population in the country, StatsCan says. 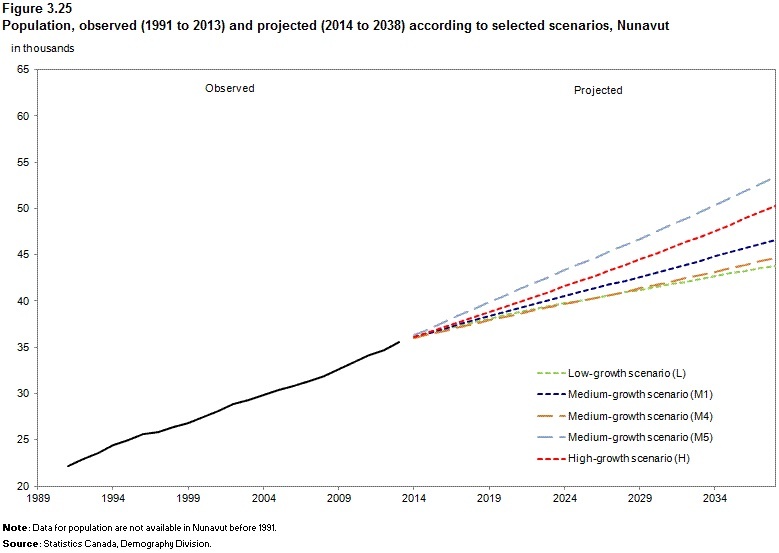 The population of Nunavut is projected to remain the youngest in Canada in all scenarios. The projected median age ranges between 24.6 years and 28.3 years in 2038, in comparison to 25.4 years in 2013. This figure from Statistics Canada shows Nunavut’s observed and project population.